Our society continues to perpetuate a number of myths about grief and mourning. These myths may seem harmless, but I have found that they can quickly become hurdles in the healing process. This article describes five of the most common myths about grief. I hope that this information will help you overcome these myths and better understand how to help yourself or others heal. Most people tend to use the words grief and mourning interchangeably. However, there is an important distinction between them. We have learned that people move toward healing not by just grieving, but through mourning. Simply stated, grief is the internal thoughts and feelings we experience when someone we love passes. Mourning, on the other hand, is taking the internal experience of grief and expressing it outside ourselves. In reality, many people in our culture grieve, but they do not mourn. Instead of being encouraged to express their grief outwardly, they are often greeted with messages such as “carry on,” “keep your chin up,” and “keep busy.” So, they end up grieving within themselves in isolation, instead of mourning outside of themselves in the presence of loving companions. Stage-like thinking about both dying and grief has been appealing to many people. Somehow the “stages of grief” have helped people make sense out of an experience that isn’t as orderly and predictable as we would like it to be. If only it were so simple! The concept of “stages” was popularized in 1969 with the publication of Elizabeth Kubler-Ross’ landmark text On Death and Dying. Kubler-Ross never intended for people to literally interpret her five “stages of dying.” However, many people have done just that, not only with the process of dying, but with the processes of bereavement, grief, and mourning as well. One such consequence is when people around the grieving person believe that he or she should be in “stage 2” or “stage 4” by now. Nothing could be further from the truth. Each person’s grief is uniquely his or her own. It is neither predictable nor orderly. Nor can its different dimensions be so easily categorized. We only get ourselves in trouble when we try to prescribe what the grief and mourning experiences of others should be-or when we try to fit our own grief into neat little boxes. Many grievers do not give themselves permission or receive permission from others to mourn. We live in a society that often encourages people to prematurely move away from their grief instead of toward it. Many people view grief as something to be overcome rather than experienced. The result is that many of us either grieve in isolation or attempt to run away from our grief. People who continue to express their grief outwardly-to mourn-are often viewed as “weak,” “crazy” or “self-pitying.” The common message is “shape up and get on with your life.” Refusing to allow tears, suffering in silence, and “being strong,” are thought to be admirable behaviors. Many people in grief have internalized society’s message that mourning should be done quietly, quickly, and efficiently. Such messages encourage the repression of the griever’s thoughts and feelings. The problem is that attempting to mask or move away from grief results in internal anxiety and confusion. With little, if any, social recognition of the normal pain of grief, people begin to think their thoughts and feelings are abnormal. “I think I’m going crazy,” they often tell me. They’re not crazy, just grieving. And in order to heal they must move toward their grief through continued mourning, not away from it through repression and denial. We have all heard people ask, “Are you over it yet?” To think that we as human beings “get over” grief is ridiculous! We never “get over” our grief but instead become reconciled to it. We do not resolve or recover from our grief. These terms suggest a total return to “normalcy” and yet in my personal, as well as professional, experience, we are all forever changed by the experience of grief. 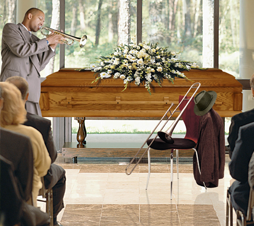 For the mourner to assume that life will be exactly as it was prior to the death is unrealistic and potentially damaging. Those people who think the goal is to “resolve” grief become destructive to the healing process. Mourners do, however, learn to reconcile their grief. We learn to integrate the new reality of moving forward in life without the physical presence of the person who has died. With reconciliation a renewed sense of energy and confidence, an ability to fully acknowledge the reality of the death, and the capacity to become re-involved with the activities of living. We also come to acknowledge that pain and grief are difficult-yet necessary-parts of life and living. As the experience of reconciliation unfolds, we recognize that life will be different without the presence of the person who died. At first we realize this with our head, and later come to realize it with our heart. We also realize that reconciliation is a process, not an event. The sense of loss does not completely disappear yet softens and the intense pangs of grief become less frequent. Hope for a continued life emerges as we are able to make commitments to the future, realizing that the person who died will never be forgotten, yet knowing that one’s own life can and will move forward.